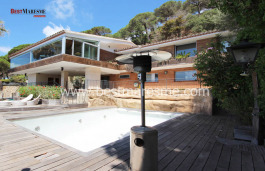 348 m2 built on a 672m2 plot, (constructed in 1980) and completely renovated in 2000. Very comfortable. On the ground floor, is distributed the main house. 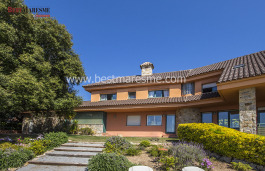 Distribution: Hall, living room with fireplace, large windows and direct access to a nice terrace with fantàstic sea and mountain views, a large kitchen with forklift that connects to the ground floor where the entire entertainment area is located. 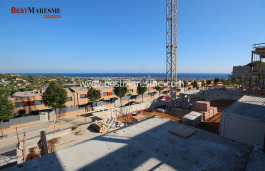 On this same floor are three bedrooms (1 suite and 2 double ones with fitted wardrobes) plus 2 fully equipped bathrooms. On the upper floor is the attic having 2 more bedrooms that share a toilet room. On the lower floor, at the pool level and barbecue area, a large multi-purpose room with glass windows and several more rooms (bathroom, kitchen, bedroom, laundry, storage room, office, ...). This floor could be used as an independent apartment. The floors in living room and bedrooms are made of iroco wood, electric blinds, automatic awnings, internet, aluminum windows ... .. 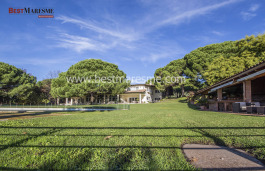 Fantastic garden with automatic watering system, pool, barbecue area. 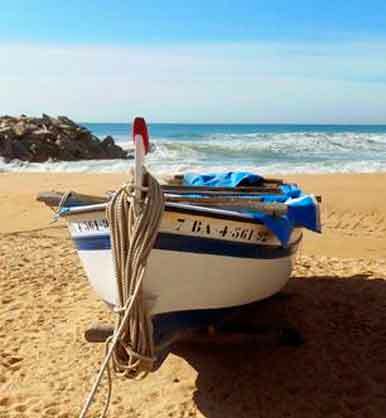 The town of Cabrils is located in the Maresme area, an area with an exceptional microclimate all year round, warm winters and cool summers, you will hardly need air conditioner. It has a Tourist license!